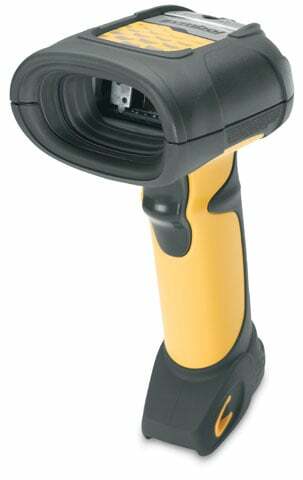 Symbol LS 3478 FZ - Scanner only (Bluetooth, FZY, M-Interface, Cordless Scanner and CL 2) - Color: Yellow. Cradle and cables not included. See accessories. Symbol's rugged LS 3478 FZ cordless scanner provides fuzzy logic technology so you're able to rapidly and accurately read the often damaged, dirty and poorly printed one-dimensional (1D) barcodes found in your industrial environment. The LS 3478 FZ features rugged construction, an IP 65 rated seal to keep out dust and water, and a comfortable hand grip that won't leave users tired. These features plus Symbol's dependable performance make the LS 3478 FZ a perfect choice for any warehouse, industrial or stockroom application. The Symbol LS3478-FZ20005WR is also known as Symbol Technologies	SYM-LS3478FZ20005WR	or LS3478FZ20005WR	.